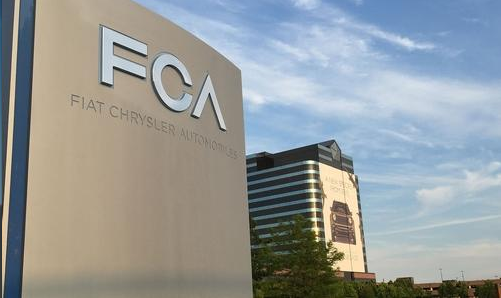 FCA is moving forward with only producing trucks and SUVs in America, based in part on low sales of the 200. But FCA isn’t the only car maker with low sales numbers. Ford missed their predictions for sales this year: http://www.bloomberg.com/news/articles/2016-07-28/ford-profit-misses-full-year-targets-at-risk-despite-truck-boom. Why? I think because automakers were counting on high numbers of sedans being sold alongside the increase in trucks and SUVs. That didn’t happen. FCA and Ford are two examples, but if you look at the industry as a whole what do we see? SUVs and trucks booming, sedans busting. A lot of the boom is driven by fuel prices. And I think, too, better fuel economy in the larger vehicles helps. Not only is gas cheaper, but the gas-guzzling bad old days of the late 90s and early 2000s are gone and SUVS and trucks can go farther on cheaper gas. But what does this all mean? Are we witnessing the slow painful death of the family sedan? I hope not. However, that could be me feeling nostalgic for trips in the family sedan or wagon and the golden age of classic cars with innovative and gorgeous sedans. Think about it. The majority of cherished classics are sedans or coupe variants, right? Most of collector car culture memories could be based on borrowing the family car for a date, a dance, or getting the sedan as a hand me down from the folks. And there are some things we would lose in the death of a sedan. Handling, ride comfort, and driving experience combined with practicality for example. I happen to appreciate all of these things in a vehicle. But sales numbers don’t lie. The American buying public is really looking for trucks and SUVS on a large scale. And as advances in fuel economy keep pace with the demand, I think that we will (tragically) see fewer and fewer sedans as the years go by. I don’t think the sedan will go extinct, but we might start seeing automakers cutting back on numbers and eventually models. And I think we will be missing a part of our car culture then. It’s the end of another sweltering week so here is an interesting time lapse video of roadwork on a Moscow, Russia street http://sploid.gizmodo.com/watch-a-huge-swarm-of-machines-pave-a-road-in-russia-1784417285 because it’s Friday. It’d be interesting to see how long it took in real time.